The ADAMS Latent Case Management and ACE-V Documentation (Latent/ACE-V) Module ensures complete compliance with SWGFAST's ACE-V guidelines, and provides an intuitive, browser-based process for documentation required as part of the latent case management record. 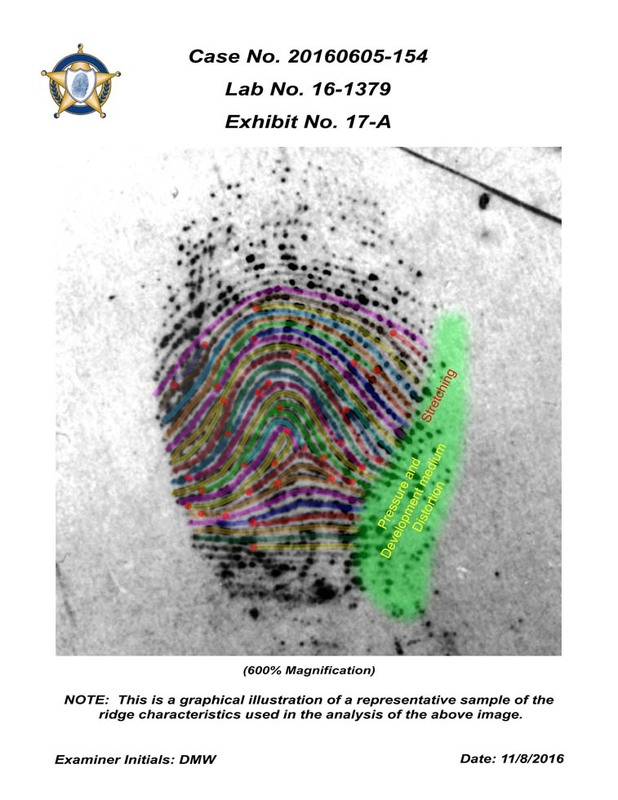 The Latent/ACE-V Module allows users to create and maintain complete–and consistent–records that include annotated images of the latent prints and exemplars, as well as observations and other data relevant to the ACE-V process, together with a detailed chain of custody, case notes and reports. Users can display images for side-by-side comparison, prepare annotations (charting) on-screen, and customize the ACE-V processes based upon their agency's specific data requirements. Annotate. 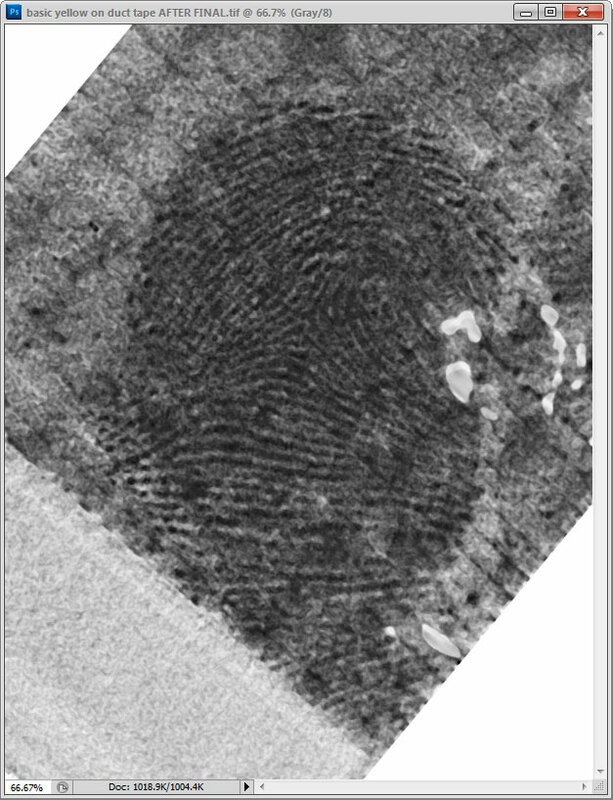 Create annotations for individual ridge impressions and/or comparison prints identifying ending ridges or bifurcations. Or, simply mark ridge events with a dot. Examine. 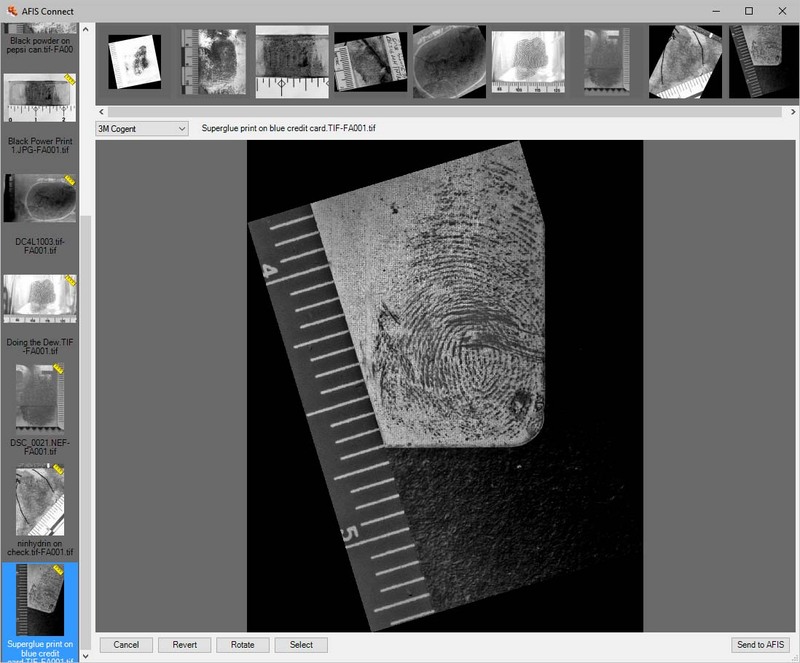 Place latent/palm print images side-by-side for detailed analysis and comparison. Trace and highlight. Trace ridge flows, add text and highlight complex areas within the print(s). View workload. Display a list of requests for a case. Manage requests. Enter detailed information related to assigned requests using flexible, user-defined fields. Modify the process. Change the Latent Case Management and ACE-V process to conform to a new SOP or to new accreditation requirements. Analyze. Document the anatomical source, orientation and presence of level 1, 2, and 3 detail as well as substrate, development medium, preservation method and other factors such as matrix, deposition pressure, movement, etc. Evaluate. Enter conclusions of latent prints that are individualized, excluded, or for which a decision is inconclusive. Verify. 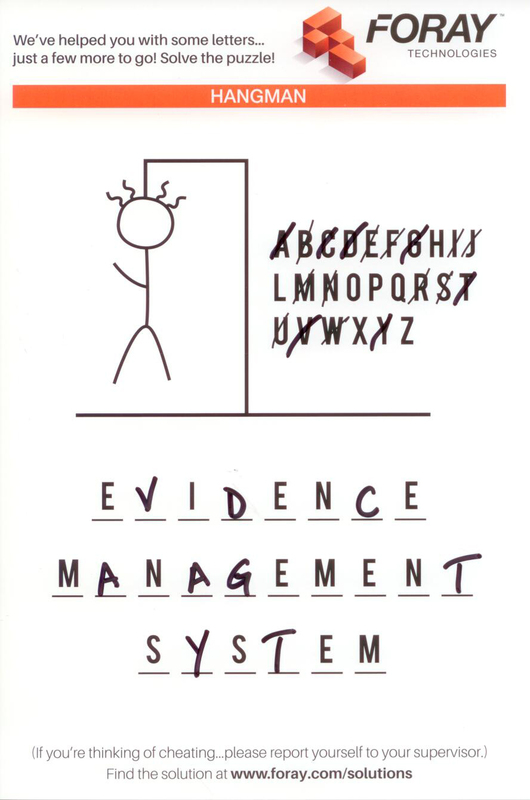 Manage and document verification steps as well as consultation and conflict-resolution processes. Compare. 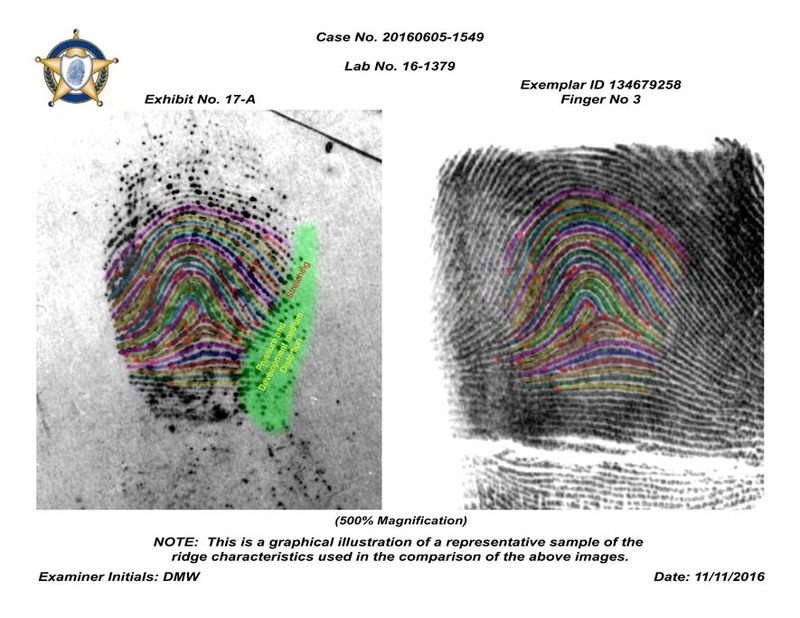 Record information relied upon by the latent print examiner during the comparison process and include high-quality, high-resolution, full-color digital images of the known print(s) used for the individualization of each latent print. Generate reports. Create custom reports for the Latent Case Management and ACE-V process. Document conclusions. Report on steps taken, comparison notes, and detail of conclusions so another examiner can determine what was done and interpret the data. Prepare for court. Gather data, comparisons, steps taken, and conclusions for use in court. Launch Foray ADAMS Filters from Adobe® Photoshop®. Launch the Foray Chromatic Fast Fourier Transform Filter from Adobe® Photoshop®. Remove background patterns. 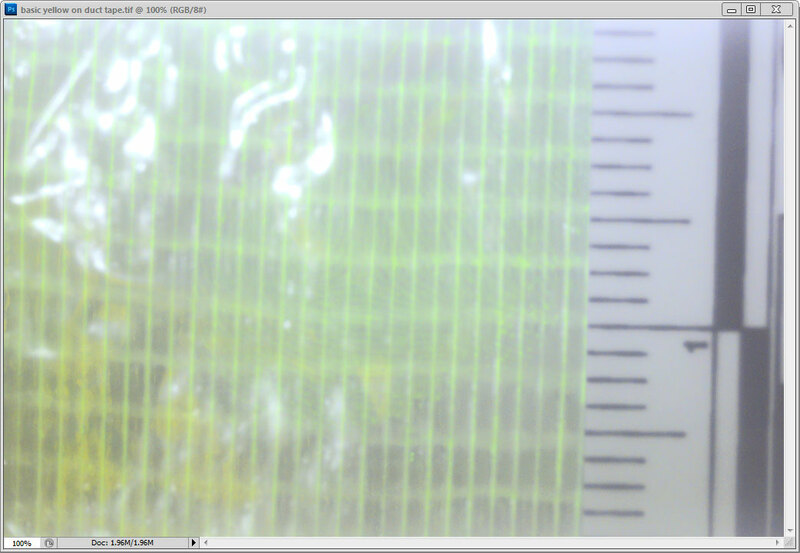 Remove background patterns to make images clearer and easier to analyze and compare. Zoom in. Using a sliding scale or mouse wheel, zoom in and select small, irregularly shaped portions of an image containing undesirable patterns. Isolate color channels. 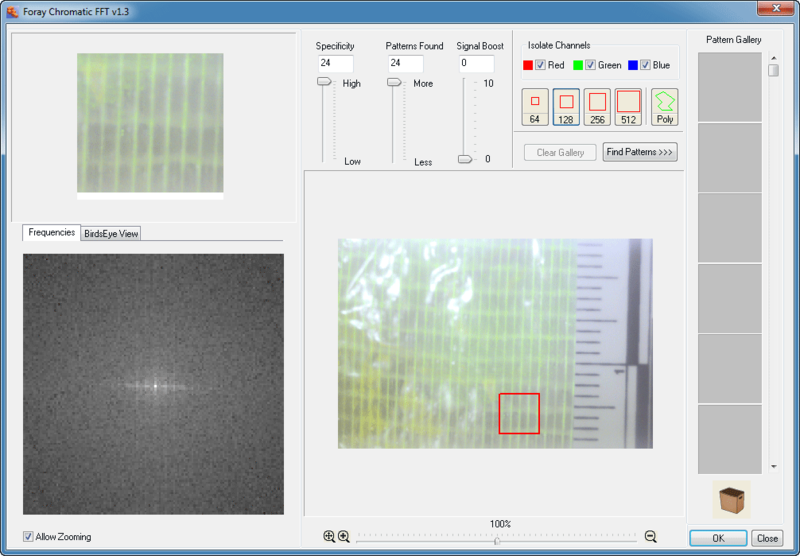 Search for patterns using all three color channels, or selectively on one or two channels. 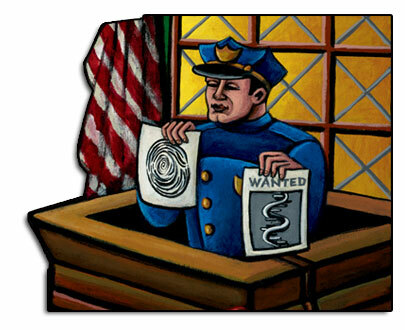 Identify unwanted patterns. Using the pattern gallery, identify unwanted patterns and drag them into the Trash Can while reviewing the effect of the pattern removal in the preview window. Fine tune. Using the Frequency Palette, remove additional patterns by cutting frequency spikes. Launch AFIS Connect. 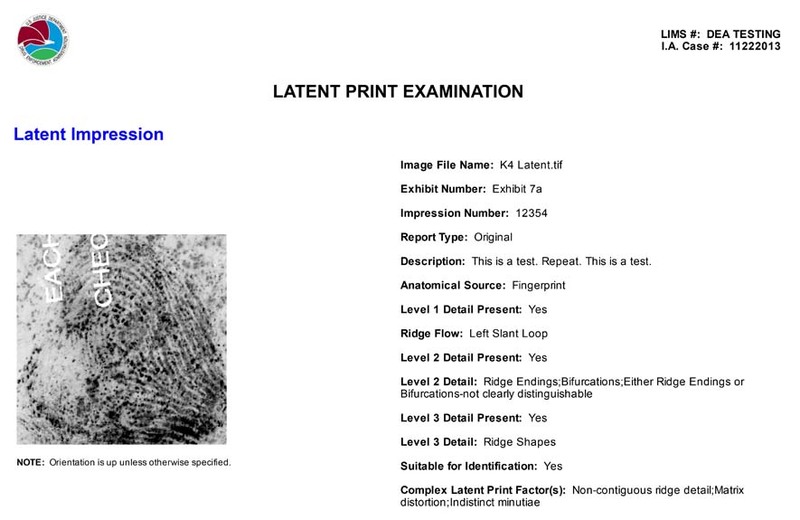 Launch AFIS Connect to submit latent/palm print images to any or all of the major AFIS systems. Preview image information during selection process. Preview all image information before submitting the prints to AFIS, including EXIF camera data, notes, image history, and chain of custody. 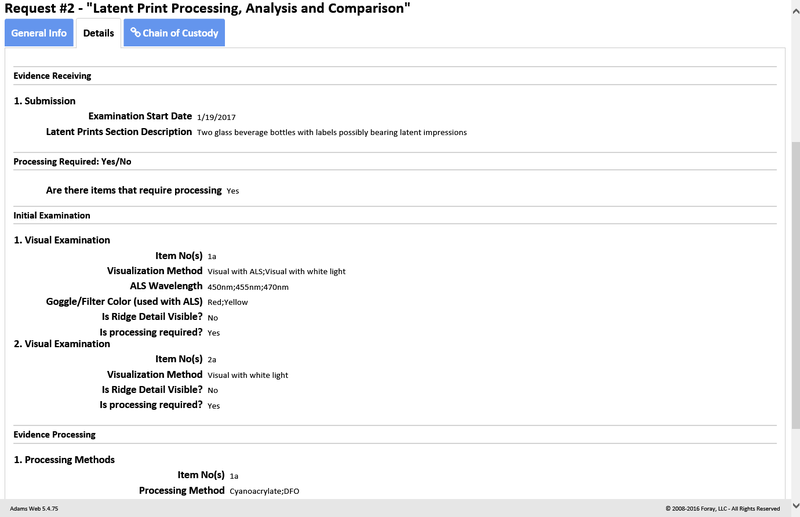 Reduce the chances of submitting the incorrect latent print or a print for which the calibration process is not yet complete. Rotate before sending. Rotate an image prior to sending it to AFIS. Select multiple impressions. 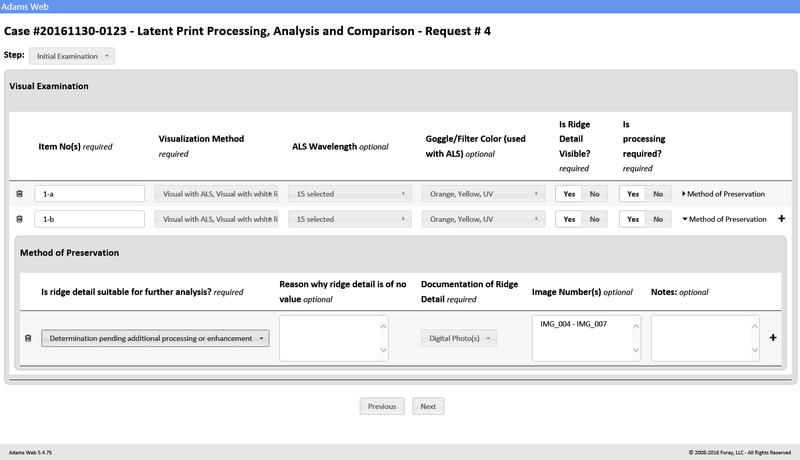 Choose multiple impressions to be submitted to AFIS in a single batch. Select multiple clips. 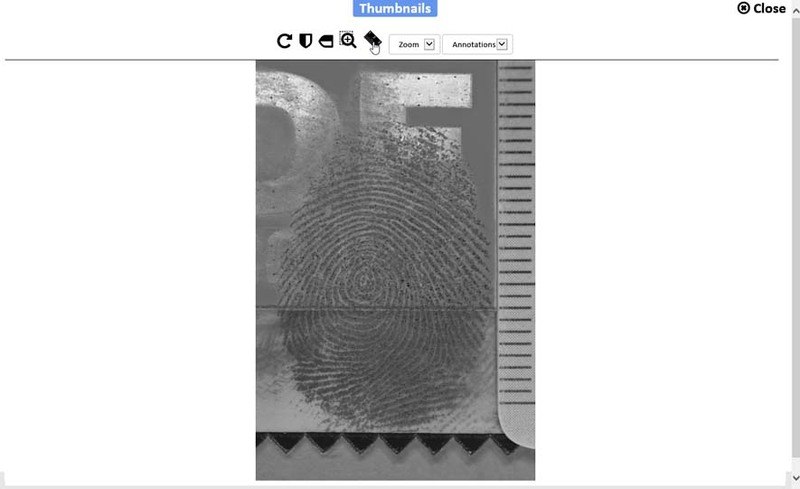 For single images containing multiple prints (palm prints or multi-print images), select multiple regions of the image and submit all regions simultaneously to AFIS. Configure multiple profiles. 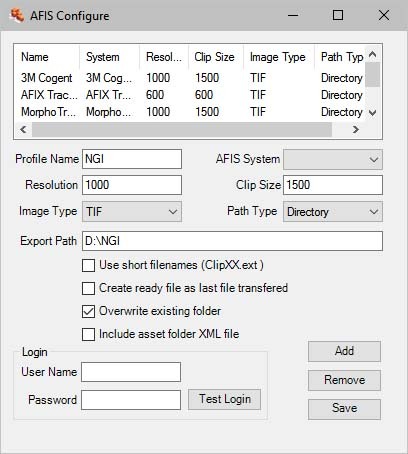 Configure AFIS Connect for all major AFIS vendors using system prompts for the configuration parameters specific to each vendor. 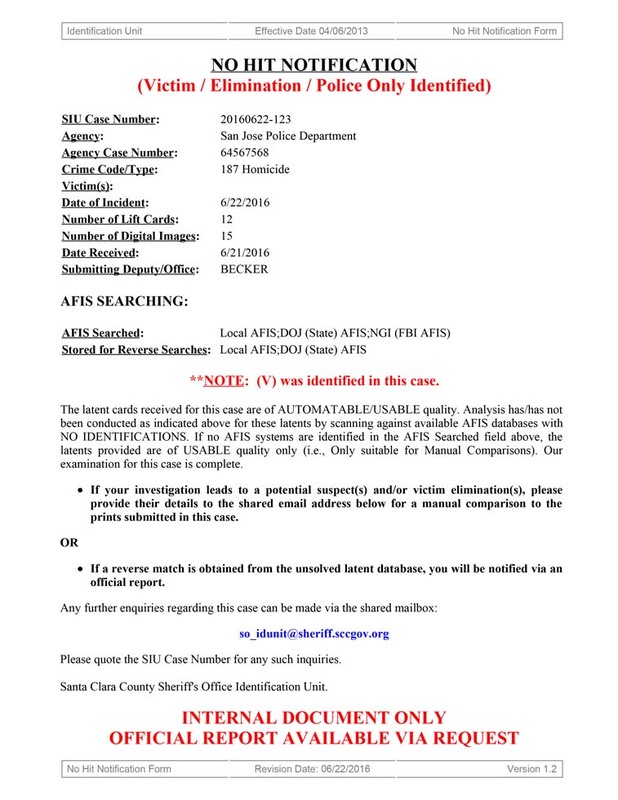 Set up AFIS Connect for as many AFIS connections as necessary (local, state, federal, etc. ).